This robusto sized Romeo y Julieta has become very popular. All the sophistication of the famous RyJ Churchill cigar, but in a shorter format. This special porcelain jar was made available only for the Swiss and German markets. 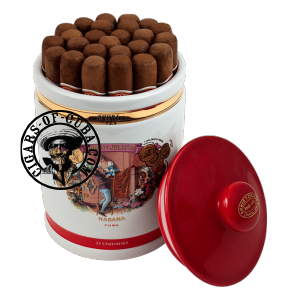 It contains 25 RyJ Short Churchill cigars.